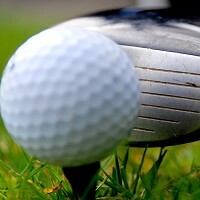 Air New Zealand has launched an in-flight golf challenge to celebrate its sponsorship of the NZ PGA Pro-Am Tournament. The quirky flight feature will give passengers the chance to play golf down the aisle of the A320 plane servicing routes between Auckland and Queenstown. Tourists hoping to brush up their skills mid-flight before taking a proper golfing holiday might feel the need to take out sports travel insurance. As an added incentive to try it out, airborne putters will have the chance to win a range of prizes. The overall champion will be given a prize pack consisting of a VIP trip for two to take in the final day of the NZ PGA Pro-AM Championship, which is being held at The Hills Golf Course in Arrowtown, from March 29 to April 1. James Gibson, Air New Zealand's head of sponsorship, said: "At Air New Zealand we're crazy about rugby on the outside of our planes and we're crazy about golf on the inside. "We can't wait for customers to get a slice of the NZ PGA action, before they even set foot on the ground in Queenstown, by taking part in some fun mid-air putting."